Showler and Chaturvedi ... contractual rights. 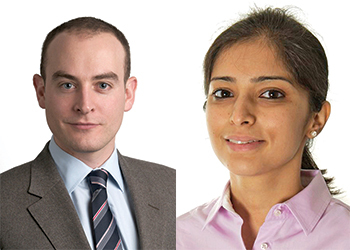 MATTHEW SHOWLER and PARNIKA CHATURVEDI of King & Wood Mallesons* discuss the enforcement of contractual rights in construction disputes in the Middle East. The UAE is one of the fastest-growing economies, where the construction industry is the third-largest sector after oil and trade. More than 6,000 construction companies operate in the country, with most construction activities taking place in the emirates of Abu Dhabi and Dubai. The emergence of the industry in the UAE dates back to the 1950s in Dubai when Sheikh Saaed bin Maktoum, together with his son Rashid, decided to transform the emirate into a ‘permanent haven for coastal shipping’ and launched the Dubai Creek improvement project. The construction industry’s growth rate is expected to remain positive, as a result of increased government expenditure on developing infrastructure and industrial construction in the country. The industry has attracted a large amount of foreign investment in the UAE. Dubai is also rightly regarded as the business hub of the Middle East, having earned a strong reputation for being tolerant, friendly and the easiest place to do business in the region. However, investors soon realise that getting things done is not always easy and have to negotiate a maze of bureaucracy, Arabic language and cultural requirements, laws protecting the rights of locals, free zones, civil codes and Sharia laws in order to undertake many types of investments. Complex and not always predictable legal systems govern the rights of contracting parties, which impact on the level of deal-making and the robustness of structures used. The UAE and Saudi Arabia, for example, rank only fair in the World Bank’s 2014 table describing the efficiency of enforcing contractual rights. Local court cases can take years to resolve, and as there is no system of binding judicial precedent, there is less predictability in outcomes. Even in good times, large construction projects can be sources of disputes. In bad times, disputes become even more prevalent. In fact, many businesses view disputes in construction projects as inevitable. But there are a number of ways these disputes can be dealt with by the parties, arbitration being one of the most common in the Middle East. Typically, the UAE construction contracts will be Fidic-based (Fédération Internationale Des Ingénieurs-Conseils; International Federation of Consulting Engineers) and tiered dispute resolution methods often apply before formal proceedings can be commenced. There are several arbitration centres in the UAE, including the Dubai International Arbitration Centre (DIAC), the DIFC/LCIA (Dubai International Financial Centre/London International Court of International Arbitration) Arbitration Centre, and the Abu Dhabi Commercial Conciliation and Arbitration Centre (ADCCAC), with each having its own set of rules. The growth of domestic and international arbitration in the UAE and recent developments in the DIFC have provided greater certainty in relation to the enforcement of contractual rights – there is an acceptance of alternative dispute resolution mechanism, such as arbitration, in the UAE. Notwithstanding the method of dispute resolution, this raises the question of how will contractual rights be enforced. In general, arbitrators should have the power, as do local and DIFC courts, to award the remedy of specific performance as an alternative to damages if circumstances permit. This is a key remedy at a party’s disposal. It is hoped that the local courts would recognise and enforce an award of this nature. It should be noted that arbitral awards in construction contracts governed by UAE law can be challenged at enforcement stage on the grounds provided in Article 216 of the UAE Civil Procedure Code (Federal Law No 11 of 1992). For instance, these grounds include if the award is outside of the scope of the terms of reference or if the time within which the arbitration must be concluded has expired or if there are material flaws in the award, such as it being wrong as a matter of law. In relation to international awards sought to be enforced in the UAE, the country is also a signatory to the New York Convention on the Enforcement of Arbitral Awards (NYC) which, broadly speaking, means that international arbitral awards (including those ordering specific performance) should, in most cases, be recognised and enforced by the local (or DIFC) courts, subject only to public policy grounds and the other limited grounds contained within the NYC. A second option for the enforcement of contractual rights has emerged in the DIFC with the passing of Dubai Law No 16 of 2011. This law allows contracting parties to voluntarily opt in to the jurisdiction of the common law courts of the DIFC for the hearing of contractual disputes. Again, the remedy of specific performance should be available. Under the legislative arrangements between the DIFC court and the courts of Dubai, the DIFC court judgment should then, in theory, be ratified by the local Dubai courts and thus be capable of being enforced “onshore” in Dubai. The advantages with this are self-evident: parties will be able to rely on a predictable common law, an English language system, with decisions made by experienced common law judges. Of course, specific performance may not always be the optimal remedy for a party to a dispute. Damages should always be an available remedy for a party that is faced with a partner failing to honour a commitment to take a required contractual step. However, if damages are the only remedy that can be sought, this can create great uncertainty for parties and may not always be an appropriate remedy for an aggrieved party. Such circumstances are, of course, an argument that can be made to the relevant adjudicative body as to why an order for specific performance should be granted. *King & Wood Mallesons LLP, a partnership registered in England, is the first and only global law firm to be headquartered in Asia. The firm has more than 2,700 lawyers across more than 30 international offices.